Technology is not the enemy of manufacturing, but its ally. Without it, there would be no Industrial Revolution. While automation has taken some factory workers, it also has opened up new opportunities for skilled workers, made the manufacturing process more efficient and enabled the production of cutting-edge goods that have a direct impact on just about every aspect of our lives. Manufacturing may have taken a few hits here and there in recent decades, but it continues to be a resilient and reliable industry, contributing $2.18 trillion to the U.S. economy, representing about 12 percent of the nominal gross domestic product and providing more than 12 million full-time jobs. By adopting innovative, production methods and technologies, the industry is managing to not only survive but also thrive in a rapidly changing global marketplace, offering new growth and export opportunities to small- and medium-sized companies. Technology is transforming the manufacturing industry. Automation and advanced manufacturing systems have altered mass production, increasing output to record highs, lowering production costs and making goods more affordable to consumers. Expectations are high for further game-changing innovation and technology. Manufacturing companies, especially smaller ones, cannot afford to ignore these tech-driven changes and fail to modernize their operations. Digital technology helps smaller manufacturers compete with large ones, at home and abroad. Yet, technology is not a one-size-fits-all solution. Each company must determine which technologies are can have a positive impact on business and offer a better return on investment. The data-driven factory of the future is just around the corner. Imagine a plant where all internal and external activities are connected through the same information platform, where designers, operators and customers can share information on everything—from design concepts to production—where materials are available on demand, skilled workers labor alongside robots, and waste is minimal. Manufacturing is essential to the U.S. economy, having a higher multiplier effect than any other sector. Every direct manufacturing job creates an additional 4.6 jobs, while every tech-intensive manufacturing job creates 16 additional jobs. In contrast, each retail and agriculture job creates .8 jobs and 1.5 jobs, respectively. Source: “2017 Clarion Call” by the Council on Competitiveness. It used to be tough to get ahead, but these days it is tough just to keep up. The manufacturing industry has been significantly disrupted by new technology, and much more disruption is yet to come. Technology is changing the way manufacturers approach the production of goods, how they manage their day-to-day operations and how they serve their customers. Following are five technology areas posed to change the industry landscape and shape the future of manufacturing. Industrial robots have been around for decades, but their use is expanding and their numbers are rising. Global spending on robotics is expected to reach $67 billion by 2025, of which $24.4 billion will be in the manufacturing industry. Robots are becoming more popular because they are getting more sophisticated and adept at performing complex tasks, meaning they can perform jobs previously assigned to humans. According to industry estimates, automation results in an average labor cost savings of 16 percent in industrialized nations. Robotics allows manufacturers to achieve new levels of precision, productivity and safety that are impossible to achieve with just humans. Robots are consistent, tireless and safe when handling hazardous materials. Instead of healthcare, they require maintenance. Not surprisingly, this technology has stalled job growth in the industry. While manufacturing output has gone up as much as 20 percent since 2010, the number of jobs has increased only 2 to 5 percent. The good news is that robots typically are assigned repetitive, mundane tasks, freeing up workers for more valuable jobs. They also create new jobs—those programming, monitoring and maintaining the robots. Some U.S. manufacturers, especially in the automotive and aerospace sectors, are using robotics to complement rather than replace workers, teaming machine operators with robots in order to improve the assembly process. 3D printing may still be in its infancy, but it is already revolutionizing the industry. The technology enables manufacturers to design and produce detailed components quickly, precisely and cheaply, making it easier for inventors, innovators and smaller companies to go global. Also known as additive manufacturing, 3D printing uses advanced computer technology to produce solid objects from digital designs by building multiple layers of plastic, resin and other materials. 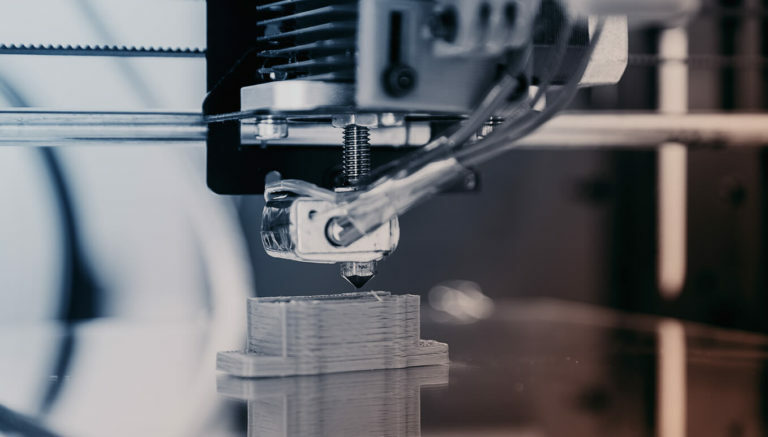 Manufacturers are using 3D technology to develop new products, make prototypes, manufacture parts in small lots, reduce design-to-manufacturing and time-to-market times, cut waste and lower production costs. The cost of additive manufacturing is going down, so it is just a matter of time before 3D printing is applied to broader uses and higher-volume production for items such as toys, electronic parts, medical devices and large structures such as houses and offices. 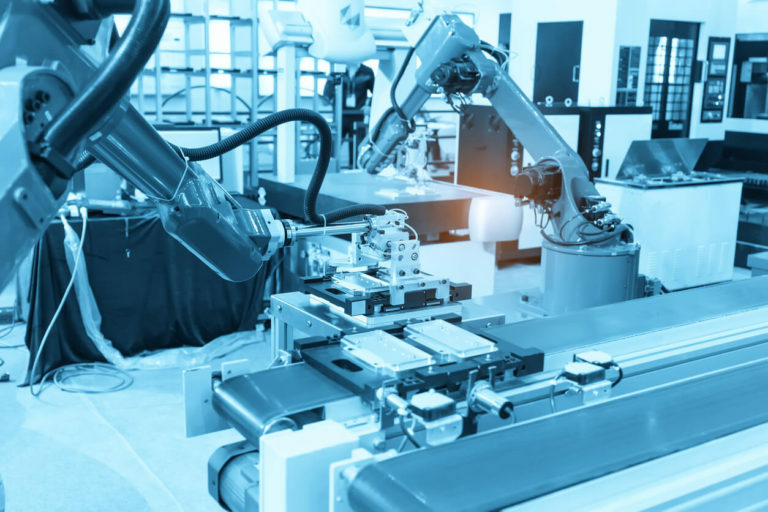 In a smart manufacturing plant, machines can “talk” to each other via the Internet and work together to reduce downtime, minimize errors, improve quality and lower labor, waste and production costs. This is robotics on steroids. The Industrial Internet of Things (IIoT) is not science fiction. Advanced software and connectivity as well as low-cost sensors already are making it happen. Investment on smart manufacturing technologies is expected to reach $267 billion by 2020. In addition to facilitating communication among devices, the IIoT can collect, process and analyze data, manage equipment, regulate maintenance schedules, track inventory and measure performance, among other key functions. For example, data collected by the IIoT can be used to determine how much energy it takes to make a product and how temperature and humidity affect a production line. As the IIoT develops, it will allow companies to monitor their entire manufacturing workflow, troubleshoot production issues, optimize performance and make decisions—all in real time. 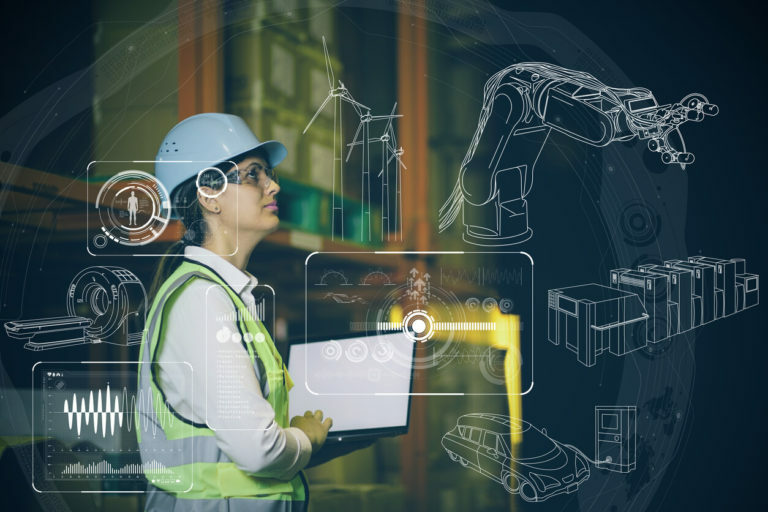 Along with robotics and the IIoT, Artificial Intelligence (AI) is finding a home in the manufacturing industry as the technology evolves and becomes more affordable and as manufacturers discover applications for machine learning throughout the production process. 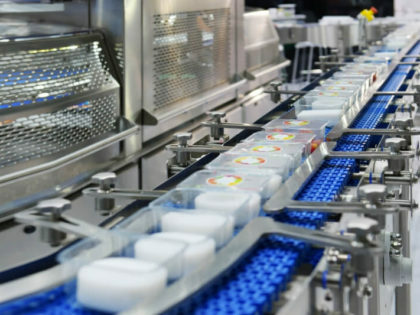 AI algorithms can do more than automate tasks—they can teach machines to make complex decisions involving custom product configurations, quality control (identifying defects, etc.) and predictive/adaptive equipment maintenance, among others. Unlike deliberate programming, which directs machines to do only what we tell them to do, AI algorithms enable machines to perceive data, discover meaningful patters and learn from experience. 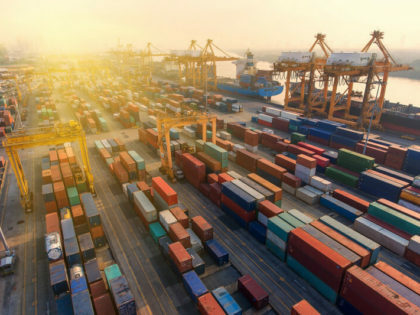 In the supply chain, AI algorithms can perceive patterns of demand for products across time, geographic markets and socioeconomic segments while accounting for macroeconomic cycles, political developments and weather patterns. In predictive maintenance, sensors can track operating conditions and performance, learn to predict breakdowns and malfunctions and recommend or take preemptive actions. Blockchain is a method of recording data and allowing it to be accessed, updated (not changed or copied) and shared by users of a network. This database functions like a digital ledger of transactions that is continually reconciled. It is not stored in any single location, so there is no centralized version of it anywhere that can be hacked. Originally designed as supporting architecture for the digital currency Bitcoin, several industries are finding other applications for the technology. In manufacturing, blockchain can create smarter supply chains capable of tracking every detail of a product’s journey, providing precise audit trails and real-time visibility of every part in the supply chain. Increased transparency would go a long way to protect operations from theft, fraud, counterfeit and cyber attacks and allow manufacturers to take calculated risks. Blockchain also can enhance the IIoT by freeing it from having to connect, secure and oversee a large number of devices through a central cloud server. Blockchain has the potential to radically change manufacturing; however, the technology is just emerging. First, manufacturers need to evaluate whether replacing existing infrastructure and legacy systems with blockchain will add value and result in a return on investment. Still, there is no question we will see more of blockchain in 2018. Several other tech-driven trends are gaining momentum in the manufacturing industry. Augmented Reality: uses computer science, information technology and engineering to deliver real-time information and guidance at the point of use through text, graphics, audio and other virtual enhancements superimposed onto goggles or real assemblies as users perform complex tasks on the factory floor. Cloud Computing: uses network connected remote services to manage and process data, helping to reduce costs, improve quality control and shorten production times. Nanotechnology: uses matter between 1 and 100 nanometers (a nanometer is one-billionth of a meter) to manufacture lightweight stronger materials for eyeglasses, boats, sporting equipment, auto parts and other products. 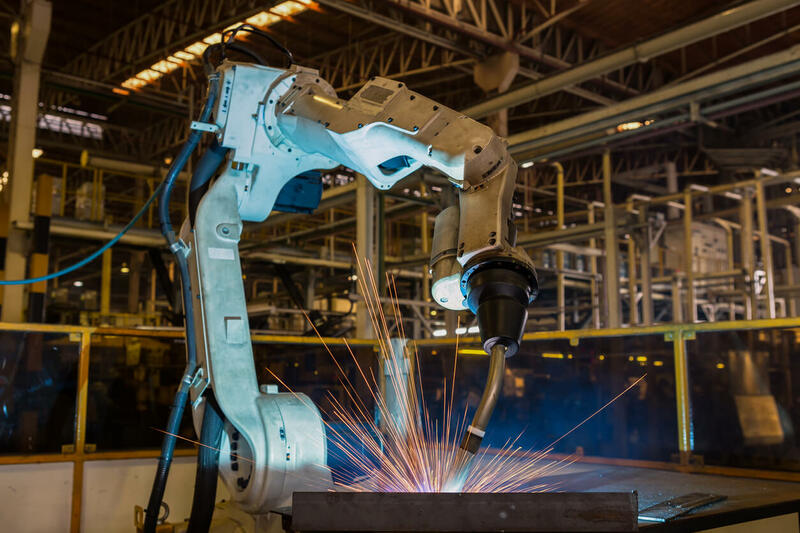 Tech-driven advancements such as robotics, 3D printing and the Industrial Internet of Things are changing the way manufacturers do business, leading to increased output and higher quality at less expense. Keeping up with smart technology is particularly crucial for smaller manufacturers seeking to grow and export, as they simply cannot compete and be profitable in the global marketplace without it. 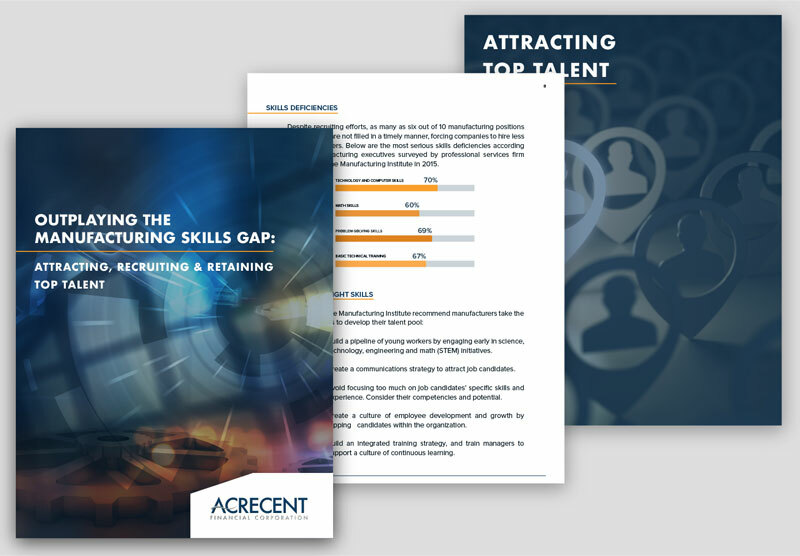 TO LEARN MORE ON HIRING, EMPLOYEE ENGAGEMENT AND RETENTION BEST PRACTICES IN A MANUFACTURING COMPANY, DOWNLOAD THIS FREE GUIDE! Sources: Manufacturing Extension Partnership, The Manufacturing Institute, Manufacturing Research Institute, Industry Week, Boston Consulting Group, Redshift.